The EUROMET.T-K3 comparison is the regional extension of CCT-K3. The comparison involved the six European national metrology institutes (NMIs) previously involved in CCT-K3 (LNE-INM/CNAM, SMU, INRiM, NMi-VSL, NPL, PTB) and 18 additional European national laboratories. The comparison was divided into five different loops, each coordinated by a co-pilot chosen from the laboratories having participated in the CCT-K3 comparison. LNE-INM/CNAM played the role of pilot in linking the five loops. In each loop, an artifact in the form of a standard platinum resistance thermometer (SPRT, 25 Ω) was circulated among the participating laboratories. To have sufficient information about the possible drift of the SPRTs, the co-pilots performed a calibration over the full temperature range at the beginning and at the end of the loop. 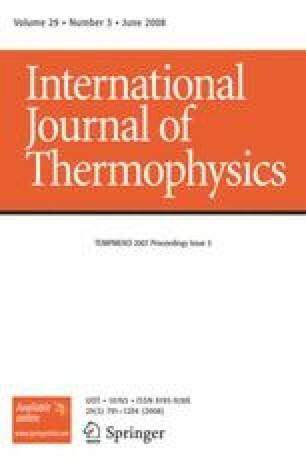 A EUROMET reference value (ERV), taking into account the whole comparison, was defined, and the differences (T Lab − T ERV) were calculated with the associated uncertainties. The method for establishing the link between the participants in CCT-K3 and in EUROMET.T-K3 is described. Institut National de Métrologie (BNM-INM/CNAM at the time of the comparison, LNE-INM/CNAM since 1 January 2005), Paris, France.